In April of this year, The Public Broadcasting Service's (PBS) LearningMedia featured "Dying to be a Martyr," a classroom experience about the Middle East for students, ages 9 through 12. Taxpayer-funded educational material, provided at no cost, includes some historical documents, but delivers a strictly one-sided Islamic view of the religious and territorial conflict, without regard to suitability, accuracy or entirety. As reported by The Blaze that same month, the premise was how religions can unite or divide people, why individuals and groups sometimes turn to tactics of terrorism, and how terrorism affects our world. The Blaze also discovered that more than 200 US-government-approved textbooks are used in the UNRWA schools, in Gaza, Judea and Samaria (West Bank), and east Jerusalem; they ignore Israel's existence and holy sites; ignore all historical connection of Jews to the land; and encourage Moslem students to kill Israelis and become martyrs. Instead of attempting to provide these children with a precious opportunity for a better education and decent future, PBS uses our tax dollars to keep them illiterate, ignorant, and impelled to destroy Israel by martyrdom. It should be noted that UNRWA, The United Nations Relief and Works Agency for Palestine Refugees in the Near East, is the largest refugee program and the only one established for area-specific aid to Palestinian refugees and their descendants, a number grown to five million. Paid staff includes Hamas members who are dedicated to Israel's destruction and invite anti-Israel rocket and mortar launches on their premises. Between 1920 and 1970, 900,000 Jews were systematically expelled from Arab and other Moslem countries. The UN did nothing to assist the "major transnational phenomenon," now referred to as "The Forgotten Exodus" of Jews from Islamic countries. They were ultimately absorbed into Israel, the US, Canada, and France. UNRWA remains a policy of war to keep the Palestinian Arabs homeless and ready to invade and conquer Israel. The students watch a film of an 18-year-old Palestinian terrorist, Mohanned, who, armed with explosives, enters Israel as a suicide bomber but reverses his course and returns home. In the subsequent lesson plan, titled "Martyrdom," Mohanned is in a jail cell where he explains why he wants to die. "Palestinians are unhappy and prefer to die, rather than live this worthless life." He adds that Israelis are happy, go to cafes, travel worldwide, and Palestinians can't leave Palestine," – words that reveal his psychological state of mind, envy to fuel the flames of resentment and prime these kids for revenge. Another video features one potential terrorist and 25-year-old Majdi Amer, the successful terrorist who built a bomb that killed 17 and wounded 50. Additional videos are shown of young men who share their reasons for becoming terrorists, the dominant messages being that the Palestinians have less land, fewer privileges, more restrictions, or that they attack to avenge an Israeli retaliation. Clearly, these are the lessons' objectives. There are no interviews of survivors of such terror attacks or their grieving families, of which there is no dearth. They do not consider the centuries of Islamic marauders throughout the Middle East and into Europe, the decades of constant bombardment since Israel became a nation in 1948, the thousands of rocket and mortar attacks on Israel since 2001 that injured more than 1900 innocent civilians, or Israel's numerous bids for peace negotiations that were rejected by Palestinians. In 2016 alone, there were 12 vehicular ramming attacks and 100 stabbing attacks thwarted by security forces in Israel. From September 13, 2015 to August 2017, 55 people were killed in terrorist attacks and 812 people (including uninvolved Palestinians) injured. There were 184 stabbing attacks and 129 attempted stabbings; 161 shootings, 60 vehicular attacks, and one vehicular (bus) bombing – as well a higher rate of miscarriages, depression, and a 50% increase in post-traumatic stress disorder among young children. Left to his underdeveloped reasoning processes, Mohanned has no way of even considering why Israelis may be happier than he. Raised in an Islamic home of a blame-and-shame culture, where a young girl has undergone Female Genital Mutilation by age 7, to be surgically undone before she marries the older man (not of her choosing) who has already learned to devalue women, Mohanned may be the son of a mother who is not out of her own childhood and ill prepared to care for her babies. Traumatic bonding with his mother, from which he cannot separate and mature, leads the male child to psychotic aggression, anxiety and violence. In this society, the child is someone to be manipulated and abused, imbued with feelings of deprivation, rage and envy of other children. Unable to sustain friendships, he bonds with hard objects – weapons, and his rage is heightened in the UNWRA schools, where the classes are dedicated to hate and to annihilate the object of his visceral resentment while also complying with the obligations of holy jihad. Mohanned has known rigidity and compliance all his young life, with his family, his school and mosque, and the sharia laws enforced by the despotic Hamas, a fundamental terrorist organization, whose name means "violence." He lives without kindness and learns no compassion, and the obsession with having faces covered during battle practice is obviously a way of not seeing a pained expression or developing sympathy for another child. The children also learn no history about the region, the indigenous Jewish inhabitants, or Israel's constitution and the Torah, the central laws of Judaism that provide for respect, freedom, and an opportunity for happiness. Although students may be asked about the effect of bombing Israelis, there is no audio/visual material or discussion to present the views of the victims. They receive only the bombers' views – their achievements – not the pain and death they cause. They do not discuss their own parents who transmit their ideology to their children, with reinforcement in schools and mosques, or the parents of the children who are bombed in schools or exploded in buses. Neither do the teachers divulge the salaries paid to terrorists or the monetary reward given the surviving parents of martyrs. Flooded with this misinformation in a culture that robs them of their childhood, these children may well be eager to end their lives. Having to endure the emotional and physical pain from an oppressive husband/father, subjugated and distraught wife/mother, the children become antisocial, immersed in an unidentified emotional pain, with delusional jealousy and anxiety. 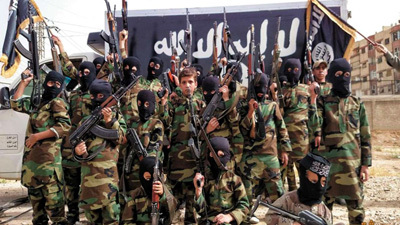 As explained by Nancy Hartevelt Kobrin, Ph.D., in her book, The Jihadi Dictionary, they cannot develop sincere friendships, think critically or communicate adequately – except through terror. Any friendship is fictitious because the bond is based on hatred of others. With repeated lessons on how to behave, not what to think, this is exemplary training for a generation of singularly purposed warriors – that terrorism is understandable and justifiable. Michael Getler, American journalist and retired ombudsman for Public Broadcasting Service confirms that PBS provides no lessons on the truth of the region's history, no chronicle of Islam and Judaism, and no lessons on the immorality of terrorism or aspirations to kill others. Although their corporate communications office has condemned terrorism for the public, it does nothing to incorporate such condemnation in the lessons. Their instructional material continues to omit the impact of terrorism on Israelis, or victims elsewhere in the world, bringing media bias to a new low. Lacking facts and context, but with clarity of purpose, PBS has taken to reinforcing the influence of a blame/shame culture to manipulate these damaged children into terrorists for politics. Not only is PBS an apologist for Islamic terrorism, but it may now prepare the young terrorists for their moment of glory.